One of my fave stores is definitely =Feather= because of the amazing work they put into noms! 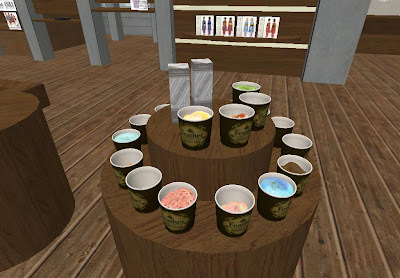 They have new noms available, ice creams! Also I don't know when they started selling skins but they have a newbie skin and female shape with freeb lashes upstairs as well. Click HERE to go to Feather!